Professional rewiev: Five Free MSG Viewers. Five Free MSG Viewers - Which To Choose? Because viewing MSG files via Microsoft Outlook or another mail client appears to be less convenient, many users prefer to use non-Outlook software to view their emails. There is a number of shareware and freeware programs, which allow users to open MSG files without using a mail client. In this article, we are going to briefly review five free MSG viewing instruments. MSGViewer is a compact Java-based utility intended for viewing Microsoft Outlook MSG messages. 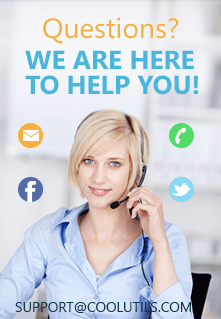 This freeware program does not require installation of Outlook on your PC. Installation of Java is the only imperative. MSGViewer has a simple interface enabling you to browse files or use the drag-and-drop option. Besides, it features editing options, so that you can adjust fonts and convert messages to EML or MBOX. This Viewer remains effective for lifetime, does not have any popups or adware and does not add entries to Windows Register. In order to view your emails with Free File Opener, you need to do just a few simple steps: download the program, press the Open button, specify source file and press OK button. Free File Opener has a plain interface, which enables you to view MSG files plus lots of other file types, including but not limited to spreadsheets, images, music, and video files. For this reason, it is not only good for viewing MSG emails. This viewer runs on Windows XP, Windows Vista and Windows 2007. Free File Opener is freeware, and it does not require any fees. This is another free program intended for viewing Outlook- and Exchange-based MSG and EML files. 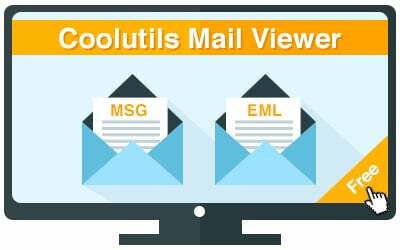 CoolUtils Mail Viewer has already helped a lot of people who have experienced difficulties opening MSG and EML files. Featuring an easy-to-follow and ad- and toolbar-free interface, this program poses no difficulties for either experienced or novice users. 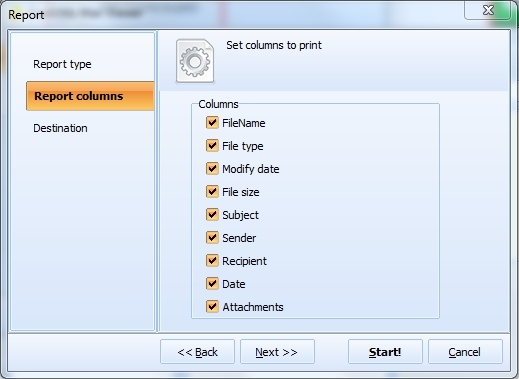 All you need to do is launch it, select the right folder in the folder tree, click on a message file and view it. This viewer has an option, which enables users to create fact files about your messages and save them as PDF, TXT, XLS, HTML or CSV files. Also, you can export Report, Attachment, Sender, recipient etc. fields at your choice. It runs on all Windows versions including Win 10. If you are looking for a free MSG file viewer, Free Opener will be ok. You do not need to pay for any specialty software. Just download, run and use it to view the contents of your EML messages without using Outlook. This utility runs on any Windows platform. The program has a very simple interface, so all you need to do is select the directory, browse for your MSG files and view them. Apart from MSG, this viewer supports a variety of file formats, such as RAR, ZIP, PDF, etc. Thanks to its friendly interface, this program is good for both savvies and beginners. 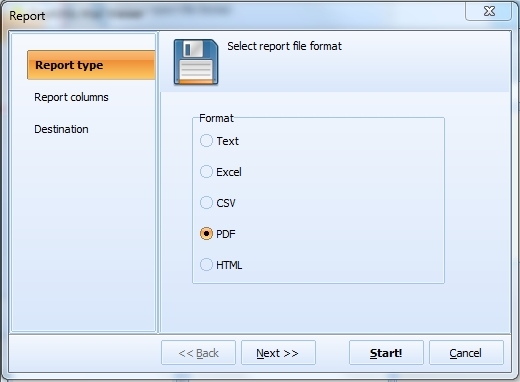 SysTools MSG Viewer is a free and practical utility used for viewing MSG files and converting them to PDF documents. This program scans folders for Outlook-based MSG files and opens them. If you are intent on converting your MSGs to PDF, SysTools MSG viewer will help you name and arrange them in folders in such a way that you can find them any time. While viewing MSG files, you check their properties - date, time, attachments, etc. This program is free from adware, malware, etc. Because SysTools MSG Viewer is free, it has limitations. For example, there is no advance search option and you cannot get all attached files from your emails.